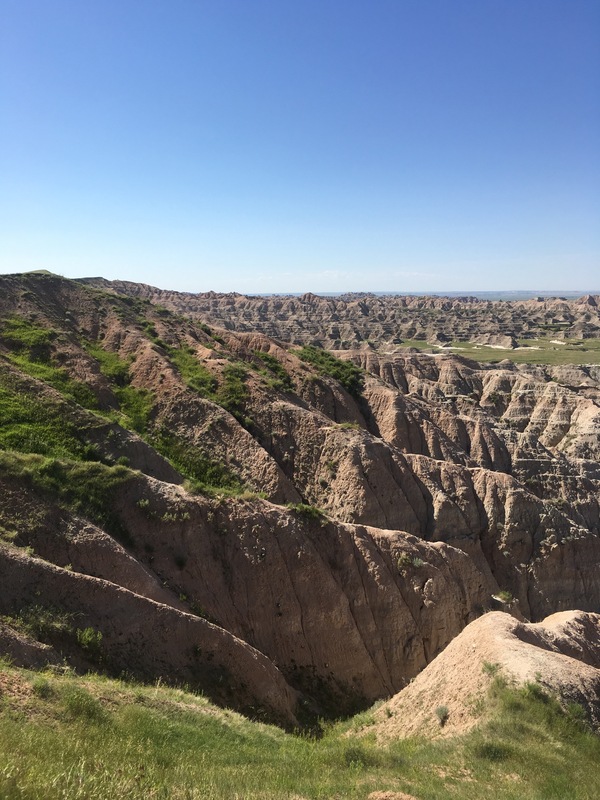 Freedom to explore is the best way I know how to describe Badlands National Park. Unlike many National Parks, there aren’t that many restrictions on where you can hike. We spent the day driving the scenic loop, hiking miles of established trails, and setting off on our own for some off trail hiking. We had a blast. I wish I had more pictures to share, but I only took a few with my phone. 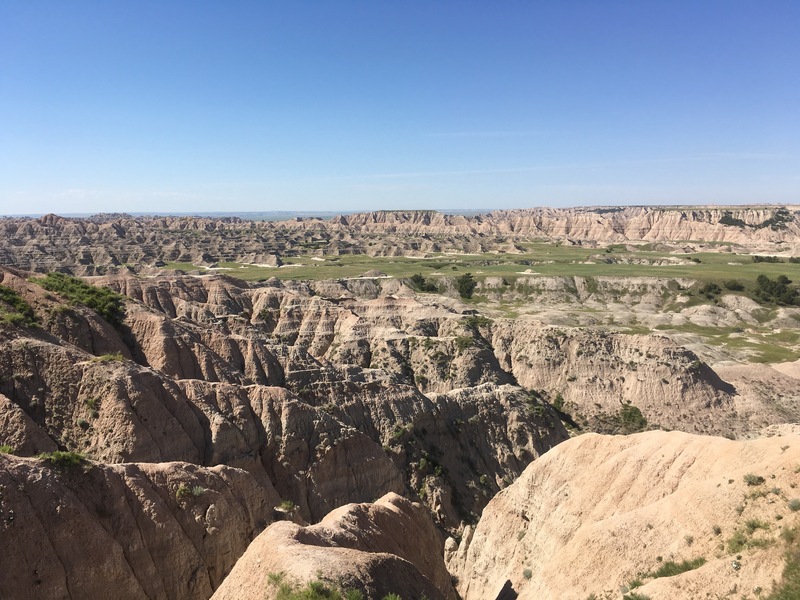 When I upload pics from my camera, I will add them because Badlands National Park is gorgeous! And when Naomi and I started getting snippy at each other, we also took a much needed middle of the day rest break at Cedar Pass campground to read, shower and relax. Cedar Pass campground sits at the Interior entrance just before the Visitor Center and is a pleasant little campground with coin showers, water fountains and real bathrooms for which we were all grateful! 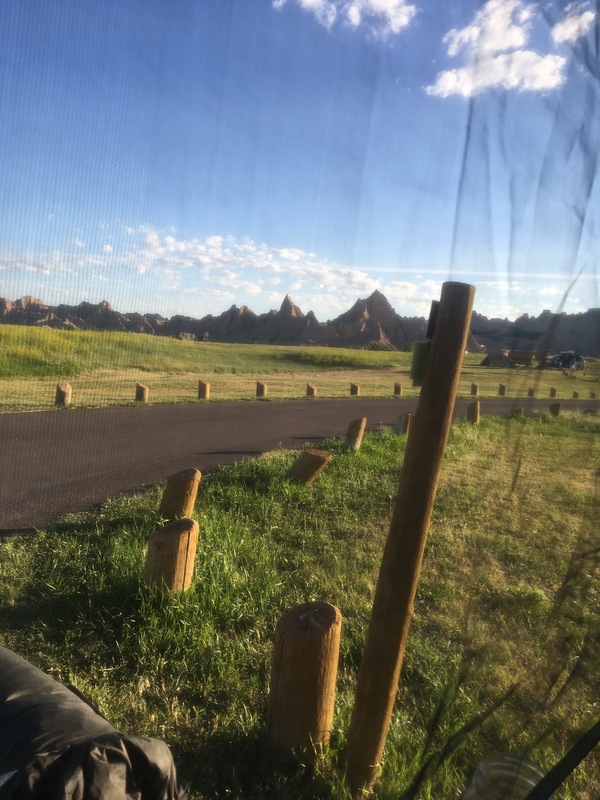 While a sign at the entrance said the campground was full, we asked the gate attendant, and several spots were actually open. That’s the view from my bed this morning! Our sleep and wake patterns are starting to line up with the sun and we are going to bed earlier and while the teenagers are still sleeping in, I’m enjoying waking up to the sunrise each day. The van continues to be a fantastic place to sleep and I am so happy we are all here adventuring together. I am looking forward to Sophie and Ryan arriving in a couple of days, and also can’t wait for Dave and Garrett to join us. Now off to explore more of beautiful South Dakota!